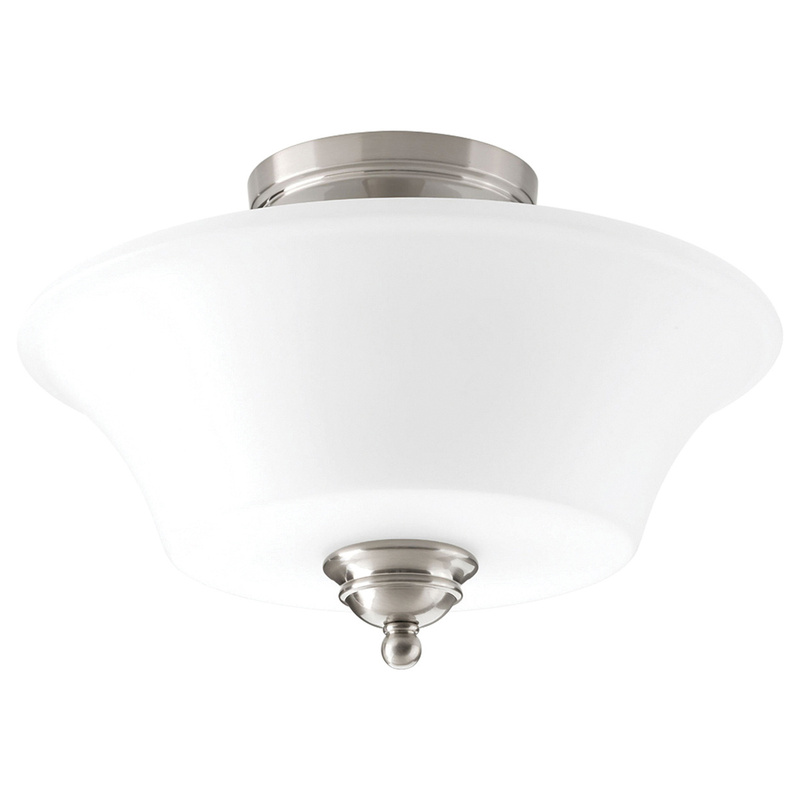 Progress Lighting Applause Collection Traditional casual fixture has steel construction and brushed nickel finish for durability. It has 14-Inch x 4-5/16-Inch etched parchment glass shade to bring elegance to home. 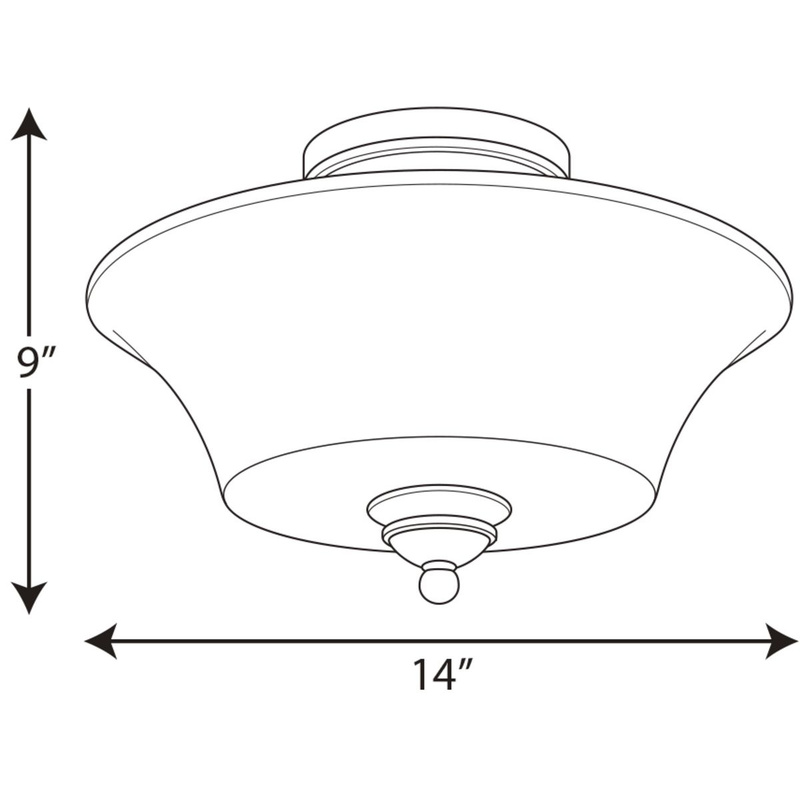 This ceiling/flush-mountable fixture accommodates two 60-Watt A19 incandescent lamps. E26 medium porcelain socket lamp has voltage rating of 120-Volts. The fixture allows for a max stren/stem stilt of 90 Degrees and has 61-Inch lead wire. It firmly attaches to ceiling through 5.3125-Inch x 1.25-Inch backplate. It is suitable for damp locations. It includes 6-Inch copper tinned wire, mounting strap for outlet box. Fixture is cCSAus listed.